Bienvenue à la chorale Francophone!! Come and join us in our brand new French singing chorus. Let's practice some Francophone songs under the direction of Jimmy Louis-Marie (from France). 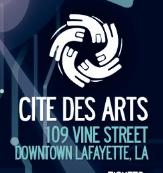 This will take place every Wednesday from 6 to 7pm at Cité Des Arts in downtown Lafayette. Two first sessions are free and then $50 per year.